Fusion in food can be a tricky and an exciting endeavour. The possibility of creating something wonderful out of diverse ingredients should appeal to anyone remotely interested in cooking. Fusion can also be a nightmare. Integrating ingredients from one culture to another is not as easy a task as one might think. In December, Chef Jamie Jang and the owners of Nudoru joined forces to open Jang on Jasper Avenue. 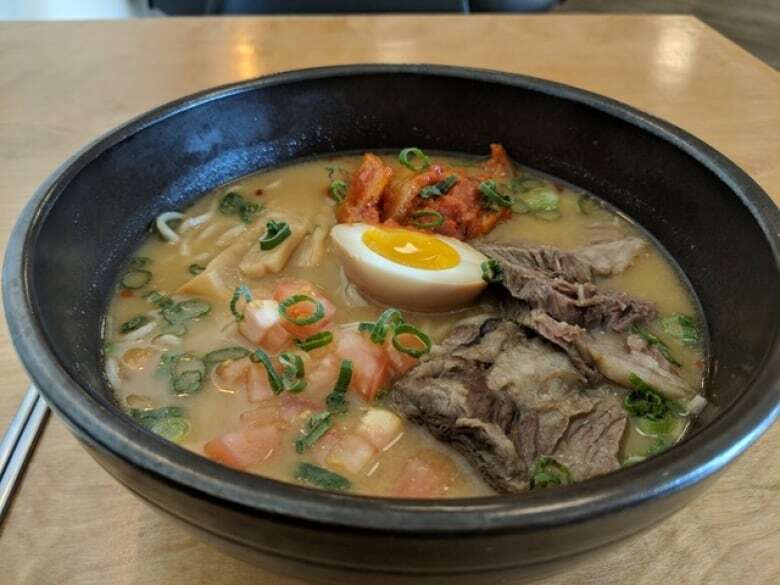 Their mission is to blend Eastern and Western flavours and bring "modern Korean, Japanese and Western fusion" food to Edmonton. The restaurant's name is not only the head chef's surname, but jang, in Korean, also means sauce. And at Jang, it's the sauce that rules all. "Here at Jang, we believe that the sauce is the main ingredient that brings all the flavours together and elevates the dish to a whole new level," reads a statement on Jang's website. Unfortunately, on each of my three visits, it's the sauce that ruins almost every dish. Take the bone-in beef rib, for example: a massive, perfectly cooked, hunk of meat so smothered in sweet barbecue sauce that the rib is only enjoyed once the sticky lacquer is scraped off. 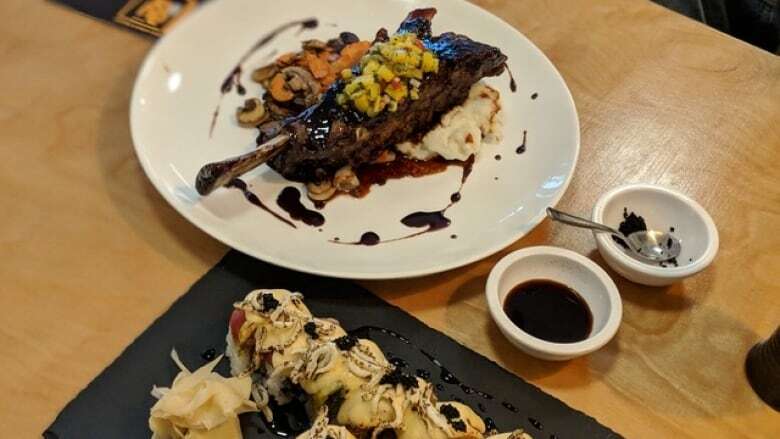 In the "sizzling hot ika", the briny black olive emulsion fights with gochujang-laced squid that nestles against oily mayonnaise-whipped mashed potatoes. A soft egg, often the crowning glory in Asian dishes, vanishes in this potent puddle rife with onions and cabbage. The aroma from the truffle mushroom sauce that bathes the torched bulgogi spaghettini perfumes the air with wet dog and copper. The acrid smell from the nest of onions does nothing to alleviate the matter. Torching happens with the Red Dragon roll, too. Despite my aversion to cheese (cream or otherwise) in sushi offerings, the rol — tempura shrimp and avocado with ahi red tuna and creamy cheese sauce, torched tableside — sounds interesting. The menu does not mention that the roll also contains a spicy chili sauce, cucumber, crispy rice puffs and black fish roe. Oh, for a touch of restraint. Rice and sauce drip onto our shirts in an awkward attempt to fit the oversized, over-sauced pieces into our mouths. Chili and butane are the flavours most present, and just like the squid, the tuna is fishy; too fishy … even for fish. I usually find something good in a dining experience, but at Jang, it's a tough go. The kimchi croquettes show promise. 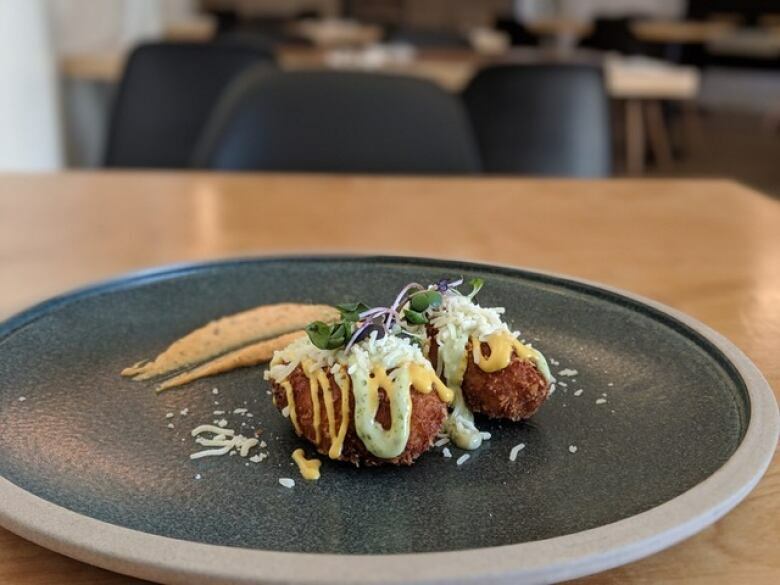 These little deep-fried nuggets, made of sweet potato mash and kimchi, are topped with two sauces, one cilantro-based, the other mustard, and served with a third sauce — a chili aioli. So many sauces. So many conflicts. The ramen is worthy, even though a hefty serving of heavily sauced kimchi almost ruins the dish. You can easily scoop that out (and the tomatoes too, if you're not a fan of fresh tomato chunks in Asian soups). The broth is rich, unctuous, and the beef, tender and flavourful. Is there such a thing as too much creativity? When it comes to food, yes. In the kitchen, restraint is a virtue because, in the end, the food needs to taste good. It's that simple. Jang is at 11212 Jasper Ave.
You can hear Campbell's reviews on Edmonton AM every second Friday. You can also see more of her reviews on her blog, Weird Wild and Wonderful, and can follow her on Twitter at @wanderwoman10. Prepare to line up if you're hungry for an Over Easy Breakfast.